Completed in 1982, this extraordinary setting of the St John Passion is one of Pärt’s most popular works and employs his truly original tintinnabuli style. The Estonian master’s Passiontide work, setting chapters 18 and 19 from St John’s gospel, has an austere, solemn, monolithic beauty which has entranced many listeners since its debut recording on ECM New Series in the 1980s. 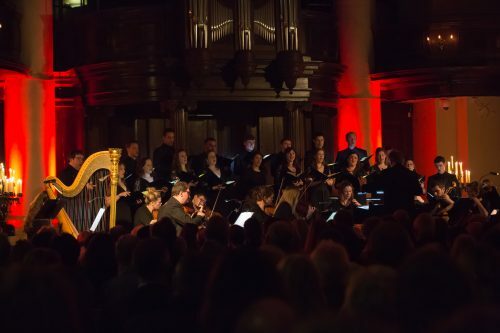 Set by candlelight, Tenebrae and the players from Aurora Orchestra will create an immersive audience experience in what promises to be an unmissable event in this year’s Holy Week Festival. This concert is part of our Holy Week Festival, curated in partnership with St John’s Smith Square.